We believe there’s an athlete in everyone, and no matter what your goal is, you deserve the same exceptional coaching the pros get. Whether your goal is to win your next race or just lose weight, we’re here to guide, support, and inspire the athlete in you. We design a personalized training program based on proven scientific principles with your cycling success in mind. I train. I race. I coach athletes. I like chocolate chip cookies and a cold beer (generally not together). I like competition; it’s what motivates & drives me. None of the above is in any particular order. I have competed all over the United States & Canada. 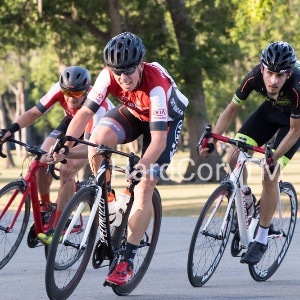 I have taken podium spots in the Texas State Cup Series, at Superweek, Tour of America’s Dairyland, The World Police & Fire Games as well as the US. National Criterium Championships. I am very thankful for the friendships I have gained through my years of training, racing & coaching. I enjoy pushing myself & pushing others to be better. Heart rate monitor required, power meter preferred. Success. Coach Jason Danvir has been notified of your message.